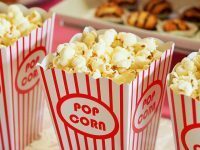 We love all things family-friendly and Sensory Friendly Movies is a great way to help all families in the Tampa Bay area enjoy going to the movies. The concept of Sensory Friendly Films started in 2007, when a Mom visited a theater chain with her daughter and was asked to leave because her daughter began to flap her hands, dance, twirl and jump up and down the theater. The Mother then asked an AMC movie theater manager (not the original theater) if they would be willing to set up a special screening for children on the autism spectrum. The idea took off and since then, theaters across the country has embraced Sensory Friendly films. Sensory Films are shown with the lights up and the volume lowered. Children are free to move around, talk, sing or even dance in the aisles during the movie. However, Sensory Friendly films are not restricted just for those on the Autism spectrum. If Sensory Friendly movie options seems appropriate for your family, please check out the theatres listed below for their offerings. Movies usually begin at 10 a.m. on select dates. Check out the current schedule for Cobb’s Sensory Friendly Films. AMC has partnered with the Autism Society to bring unique movie showings where you can feel free to be you! AMC has expanded their Sensory Friendly Film program to four showings per month. Films will be shown on the second and fourth Tuesday and Saturday. Family-friendly movies will continue to show Saturdays, starting at 10 am local time. They’ve added Tuesday showings at 7 pm local time to appeal to others on the autism spectrum. Please check the web links below to confirm movie showings. Free for children with special needs and their siblings, with adult tickets available for noon-prices. 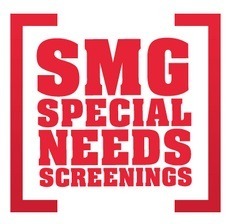 Studio Movie Grill’s Special Needs Screenings are usually shown at 11 a.m. The Sensory Friendly Movies usually occur at 10:30 a.m. on select days. They have offered Sensory Friendly movies in the past. Please check their Facebook page for upcoming shows. Background picture provided by FreePik.